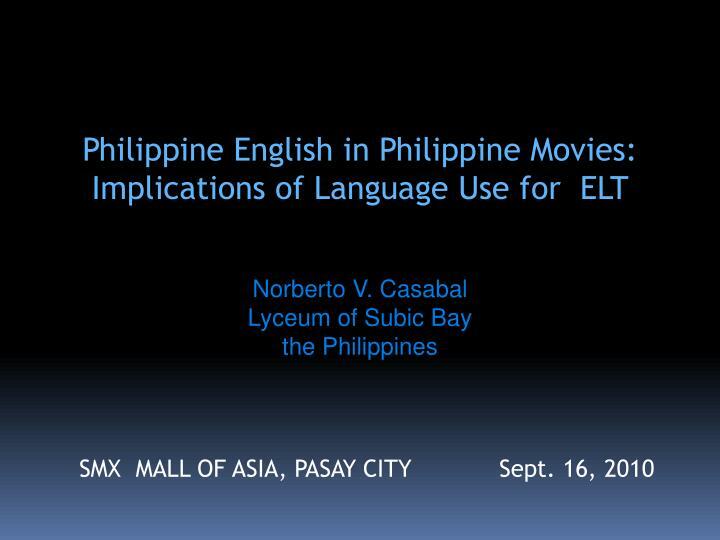 Philippine English in Philippine Movies: Implications of Language Use for ELT . 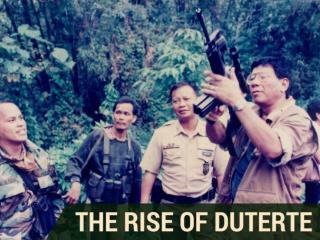 Norberto V. Casabal Lyceum of Subic Bay t he Philippines. SMX MALL OF ASIA, PASAY CITY. Sept. 16, 2010. ENGLISH IN PHILIPPINE SOCIETY IN GENERAL . 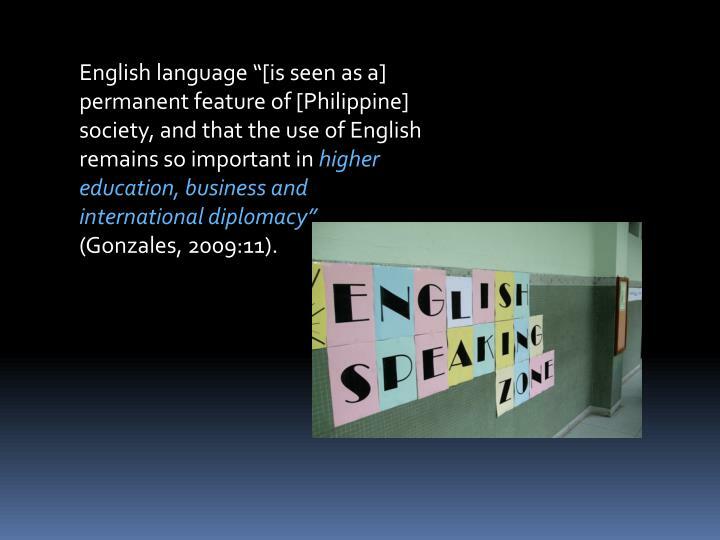 English in the Philippines is a second language. .
English in the Philippines is a second language. 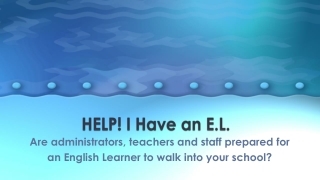 We use and encounter English in our everyday lives. 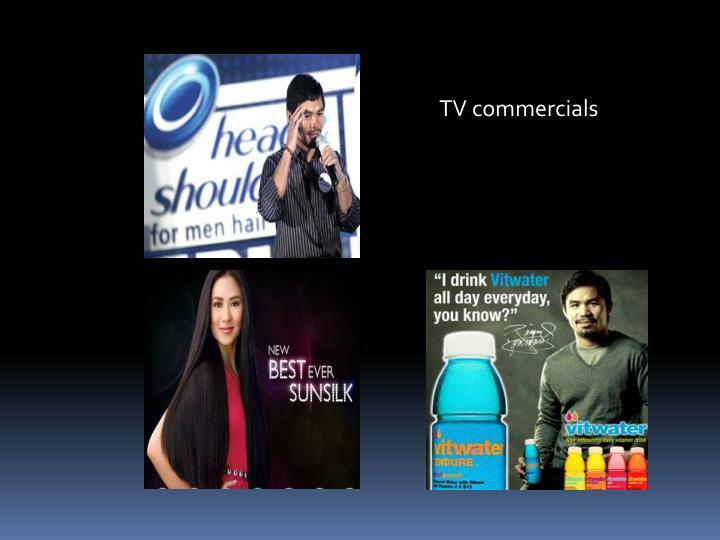 TV and radiouse Filipino as their medium “to gain mass appeal,” while magazines and newspapers are predominantly in English...being generally perceived as the language of the educated and the elite” (Dayag, 2009:49-65). 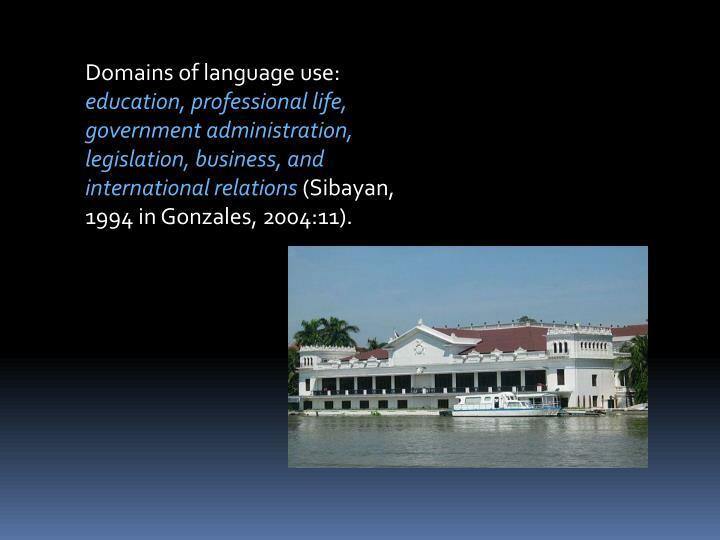 Domains of language use: education, professional life, government administration, legislation, business, and international relations (Sibayan, 1994 in Gonzales, 2004:11). 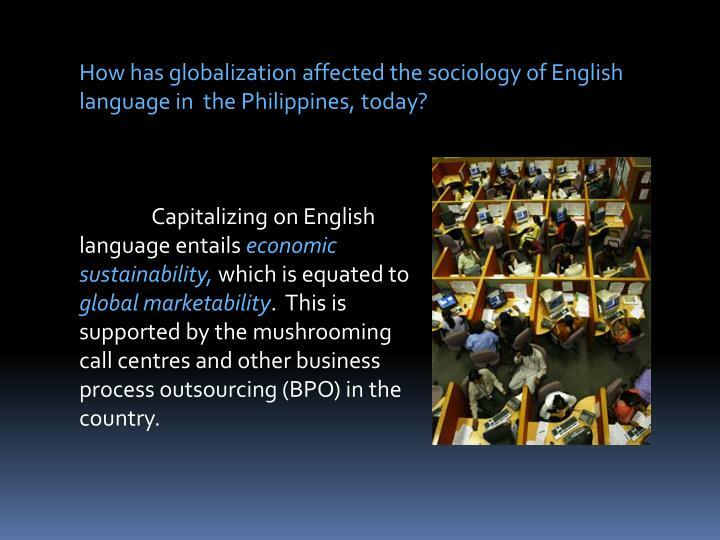 How has globalization affected the sociology of English language in the Philippines, today? 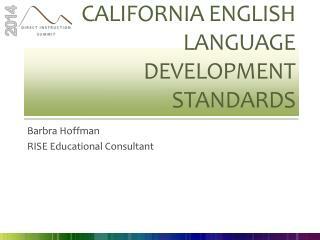 Capitalizing on English language entails economic sustainability, which is equated to global marketability. 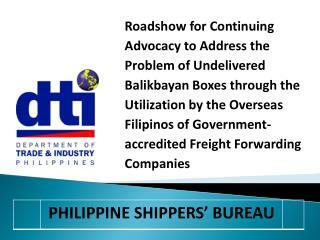 This is supported by the mushrooming call centres and other business process outsourcing (BPO) in the country. 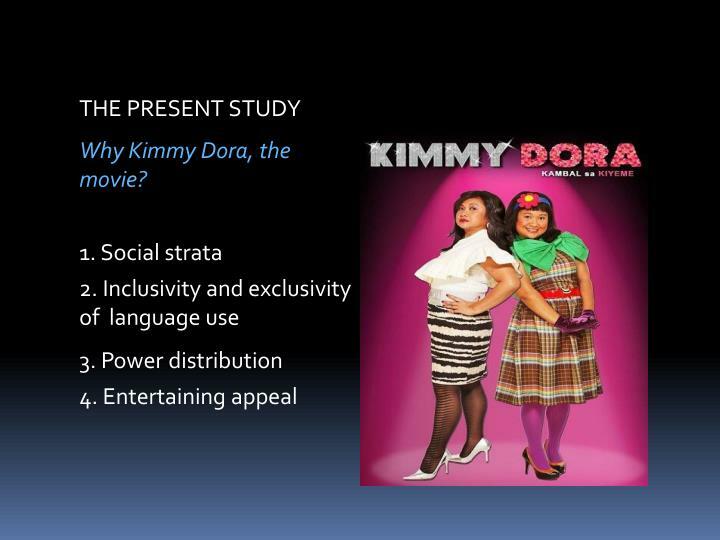 Why Kimmy Dora, the movie? 1. 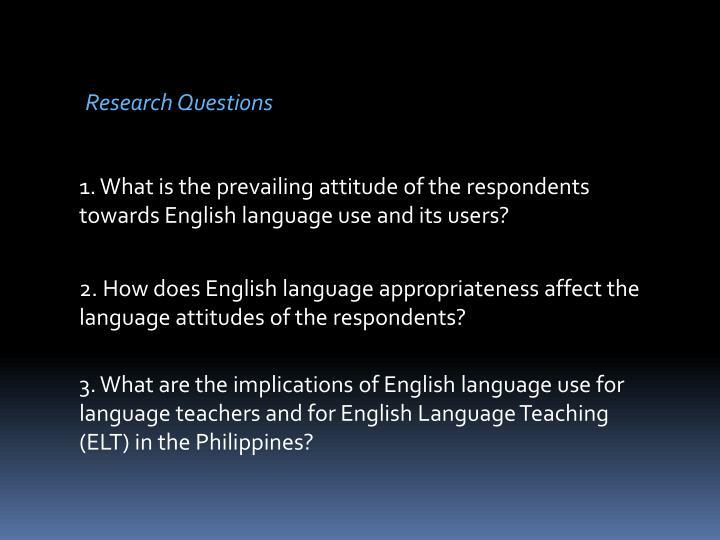 What is the prevailing attitude of the respondents towards English language use and its users? 2. 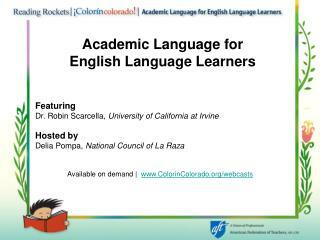 How does English language appropriateness affect the language attitudes of the respondents? 3. 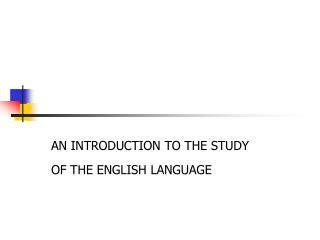 What are the implications of English language use for language teachers and for English Language Teaching (ELT) in the Philippines? 1. 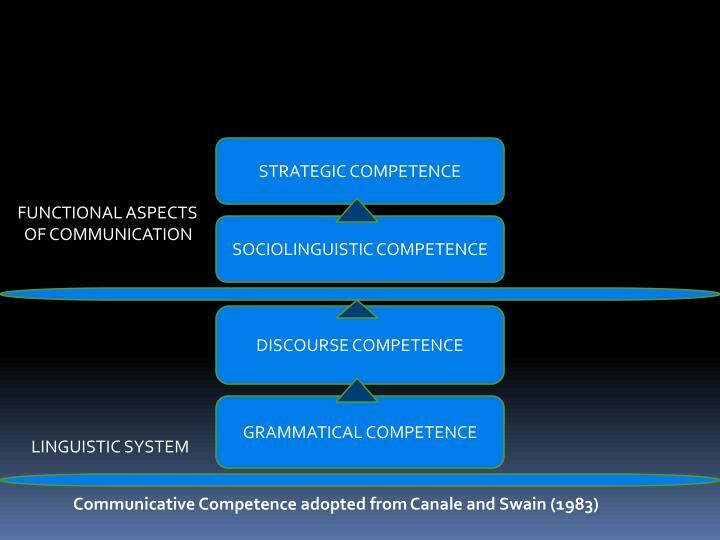 English language connotes power and social status. This particular “power-language struggle” reflects the kind of socio-linguistic-economic reality that pervades in the country today. 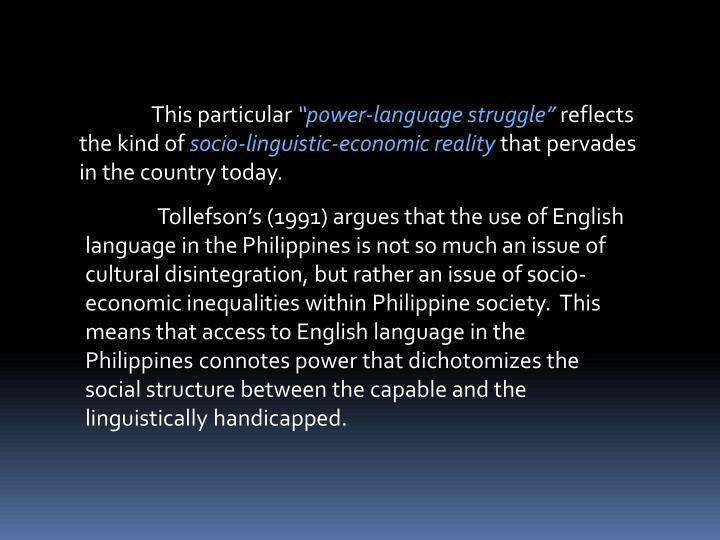 Tollefson’s (1991) argues that the use of English language in the Philippines is not so much an issue of cultural disintegration, but rather an issue of socio-economic inequalities within Philippine society. This means that access to English language in the Philippines connotes power that dichotomizes the social structure between the capable and the linguistically handicapped. 2. Language use requires appropriateness of context. 3. 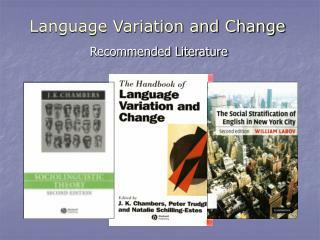 English language invites social stratification and social mobility. 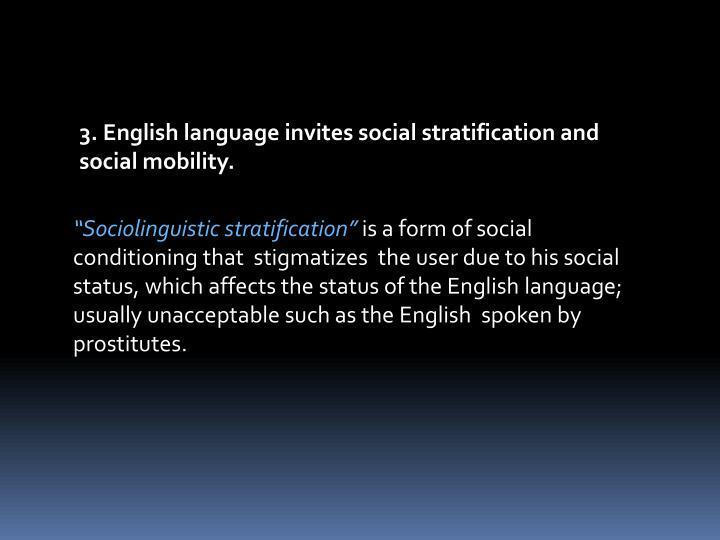 “Sociolinguistic stratification”is a form of social conditioning that stigmatizes the user due to his social status, which affects the status of the English language; usually unacceptable such as the English spoken by prostitutes. 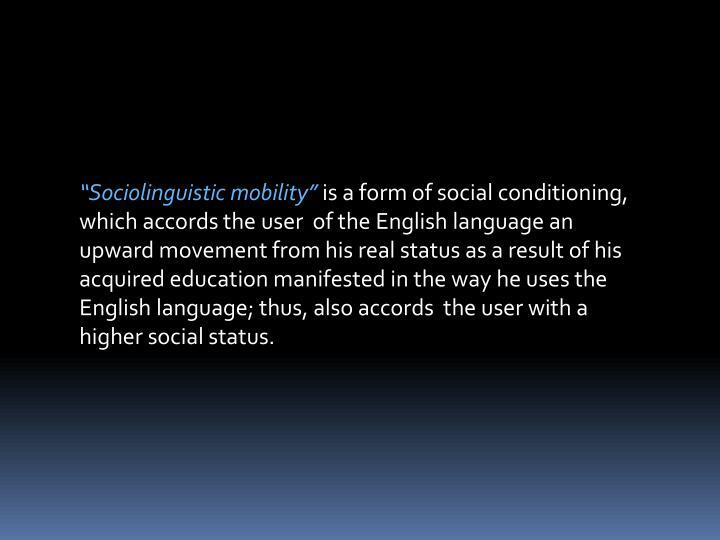 “Sociolinguistic mobility”is a form of social conditioning, which accords the user of the English language an upward movement from his real status as a result of his acquired education manifested in the way he uses the English language; thus, also accords the user with a higher social status. 4. 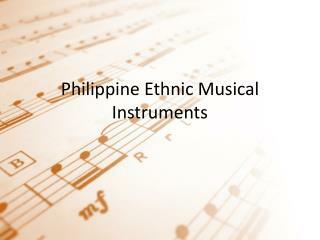 Philippine English creates a positive sense of identity and ownership. 5. 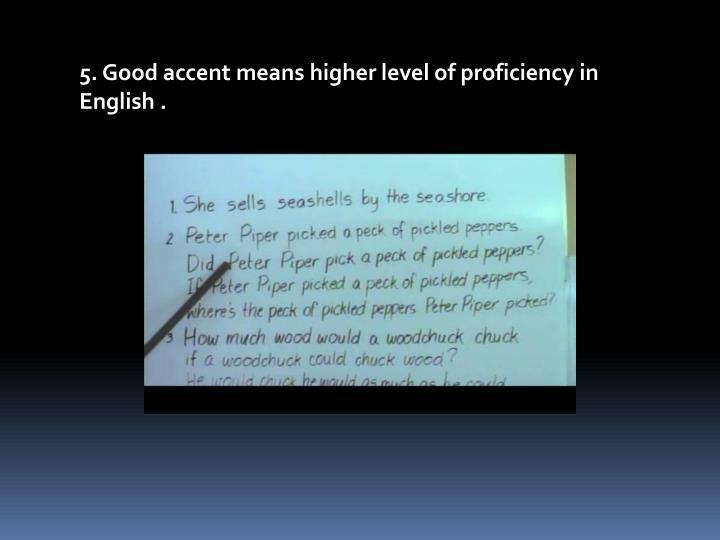 Good accent means higher level of proficiency in English . Whose accent should we teach inside the classroom? British, American or Filipino ? 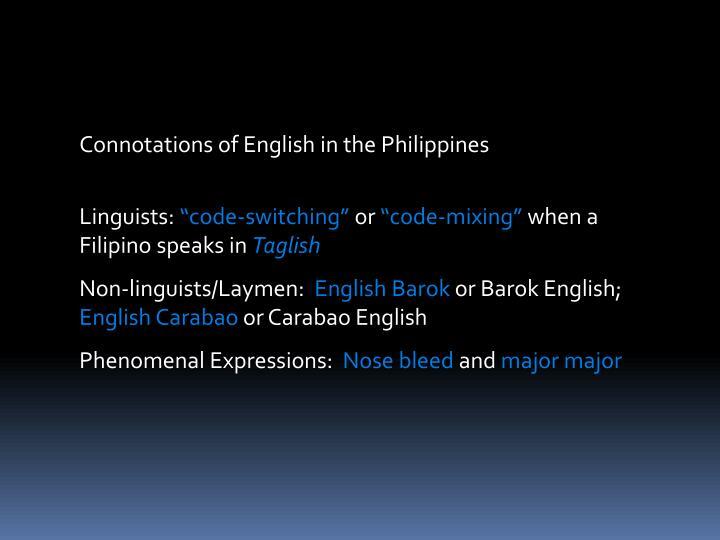 From a sociolinguistic perspective, the Philippines is multilingual in nature; each region speaks a native tongue with a distinct accent and intonation. 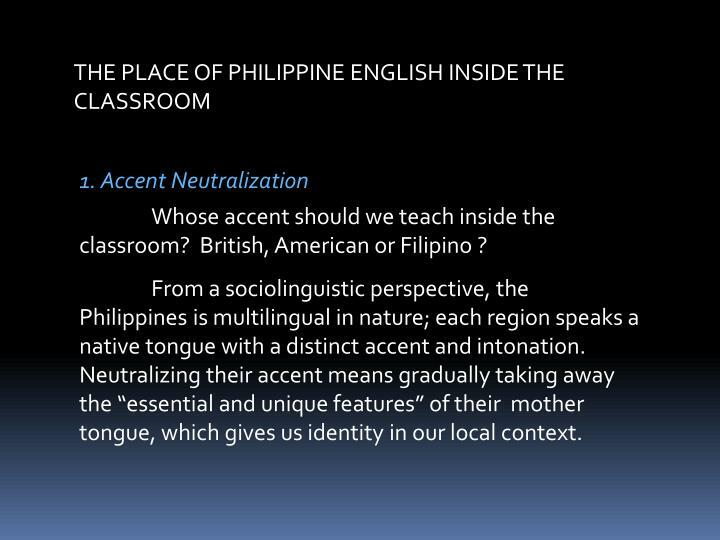 Neutralizing their accent means gradually taking away the “essential and unique features” of their mother tongue, which gives us identity in our local context. 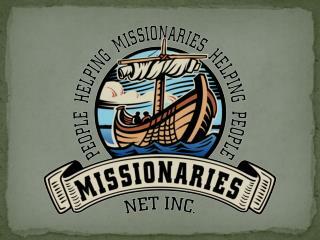 There is a need to teach students varieties of English, as in our case, Philippine English. 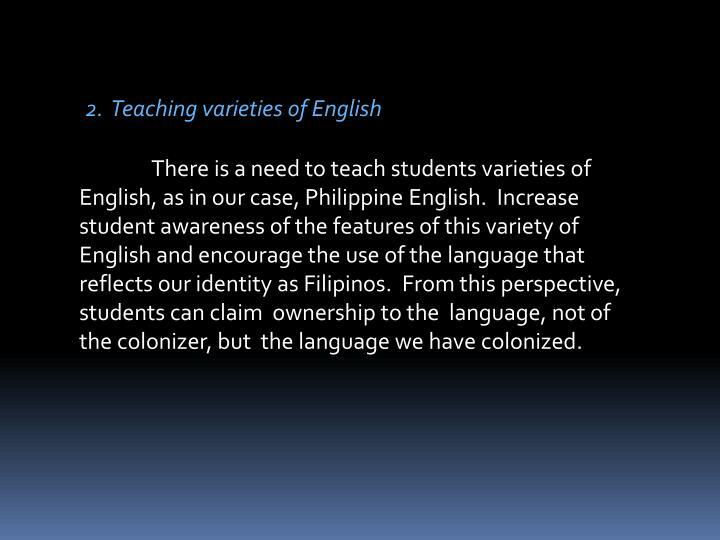 Increase student awareness of the features of this variety of English and encourage the use of the language that reflects our identity as Filipinos. From this perspective, students can claim ownership to the language, not of the colonizer, but the language we have colonized. Code-switching is a common language; a common ground that helps teachers and students articulate ideas where both languages reinforce each other in the quest for understanding of meaning. 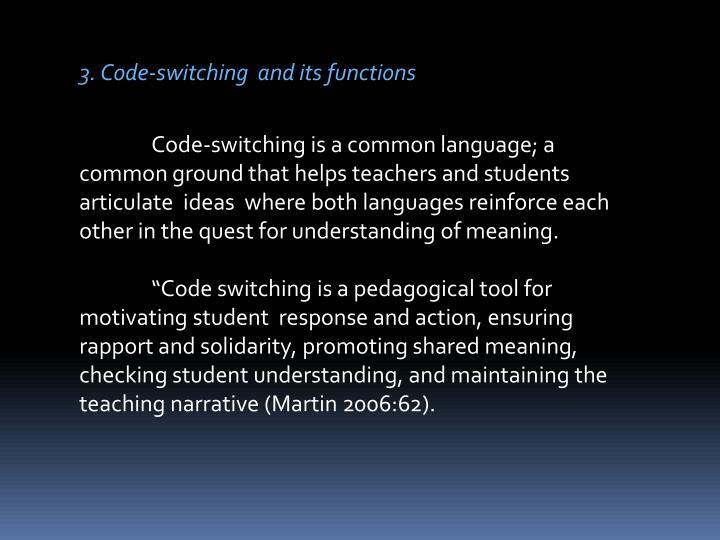 “Code switching is a pedagogical tool for motivating student response and action, ensuring rapport and solidarity, promoting shared meaning, checking student understanding, and maintaining the teaching narrative (Martin 2006:62). 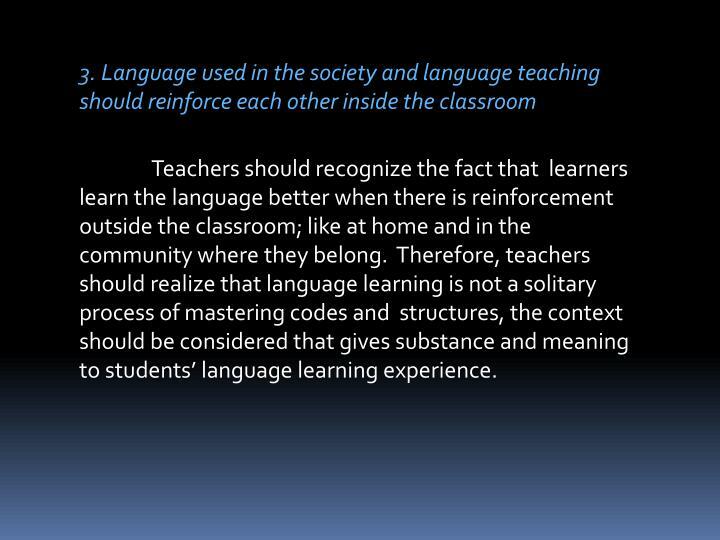 Teachers should recognize the fact that learners learn the language better when there is reinforcement outside the classroom; like at home and in the community where they belong. 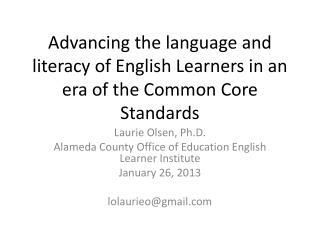 Therefore, teachers should realize that language learning is not a solitary process of mastering codes and structures, the context should be considered that gives substance and meaning to students’ language learning experience. 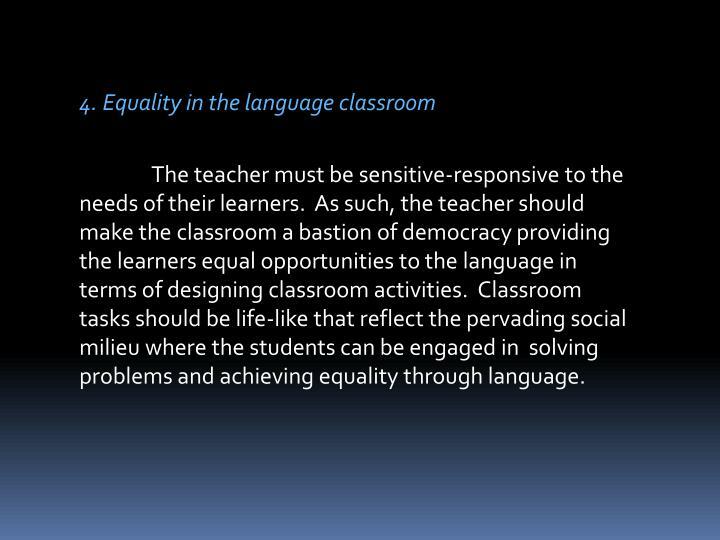 The teacher must be sensitive-responsive to the needs of their learners. As such, the teacher should make the classroom a bastion of democracy providing the learners equal opportunities to the language in terms of designing classroom activities. Classroom tasks should be life-like that reflect the pervading social milieu where the students can be engaged in solving problems and achieving equality through language. 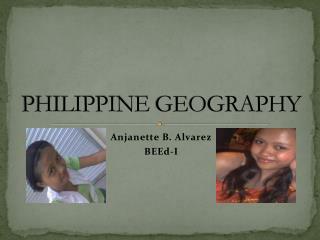 Aglaua, Charito M. and Aliponga, Jonathan A. (1999). Judging Personality from Language Usage: 1998 Samples. 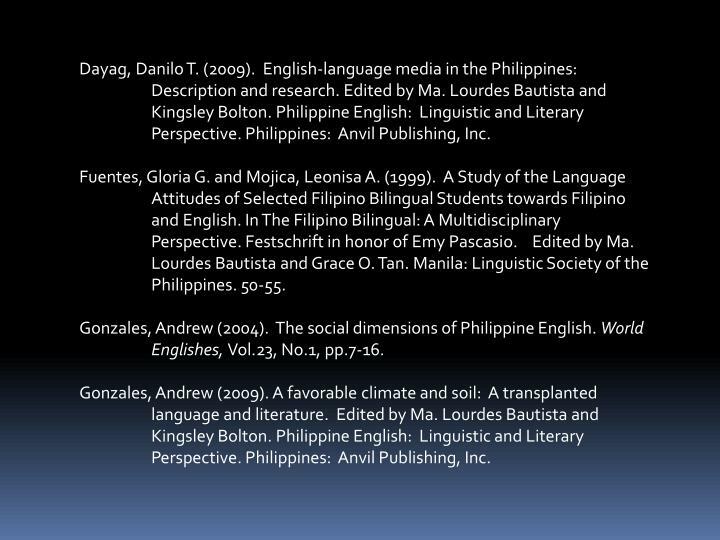 In The Filipino Bilingual: A Multidisciplinary Perspective. Festschrift in honor of EmyPascasio. Edited by Ma. Lourdes Bautista and Grace O. Tan. 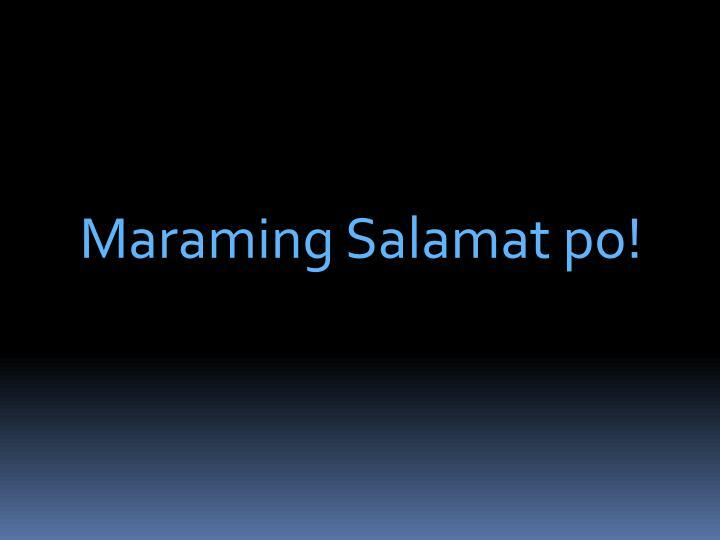 Manila: Linguistic Society of the Philippines. 36-43. Barber, Bernard (1957). Social Stratification, a Comparative Analysis of Structure and Process. NY: Harcourt, Brace and Company, Inc.
Bolton, Kingsley and Bautista, Ma. Lourdes (2004). 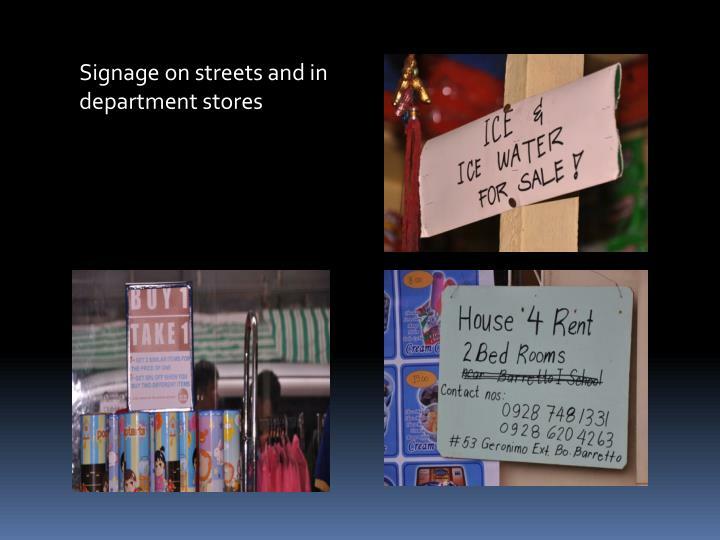 Philippine English: tensions and transitions. World Englishes. 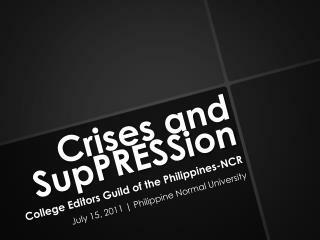 Vol.23, No.1, pp.1-5. Bolton, Kingsley and Bautista, Ma. Lourdes (2009). 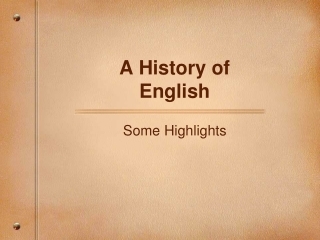 Philippine English: Linguistic and Literary Perspective. Philippines: Anvil Publishing, Inc.
Cresswell, John W. (2005). 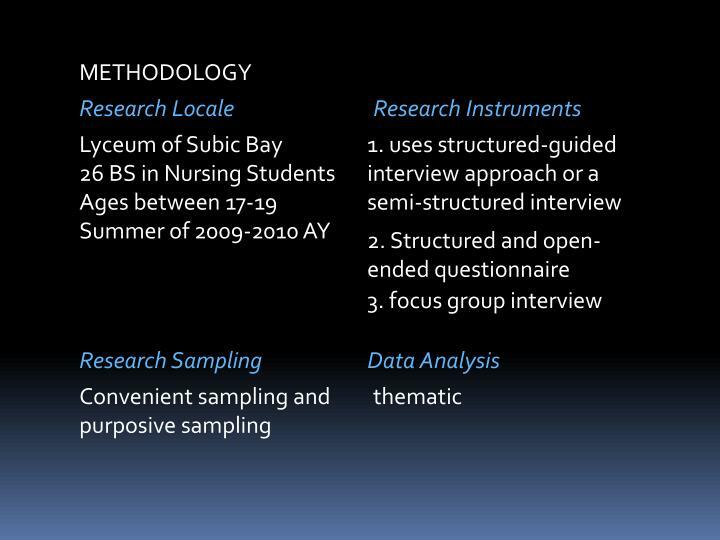 Educational Research: Planning, Conducting and Evaluating Quantitative and Qualitative Research. 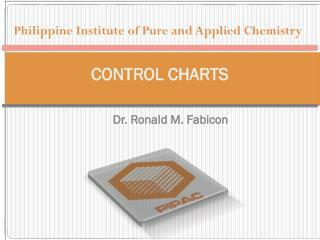 New Jersey: Pearson Education, Inc.
Dayag, Danilo T. (2009). 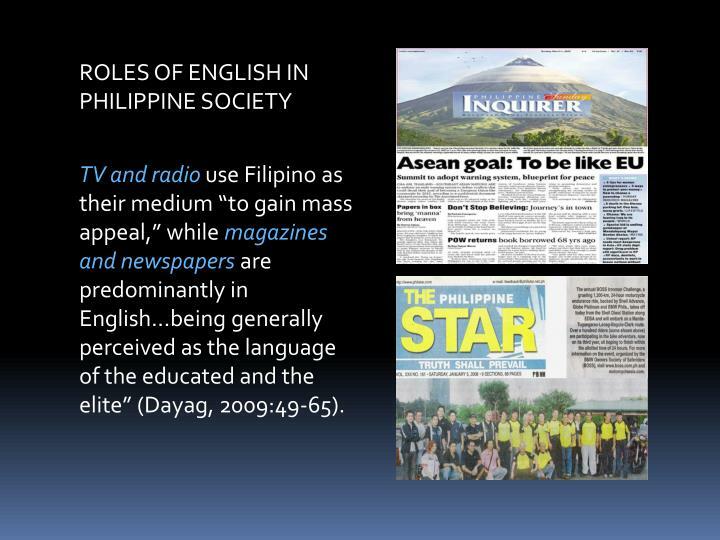 English-language media in the Philippines: Description and research. Edited by Ma. Lourdes Bautista and Kingsley Bolton. 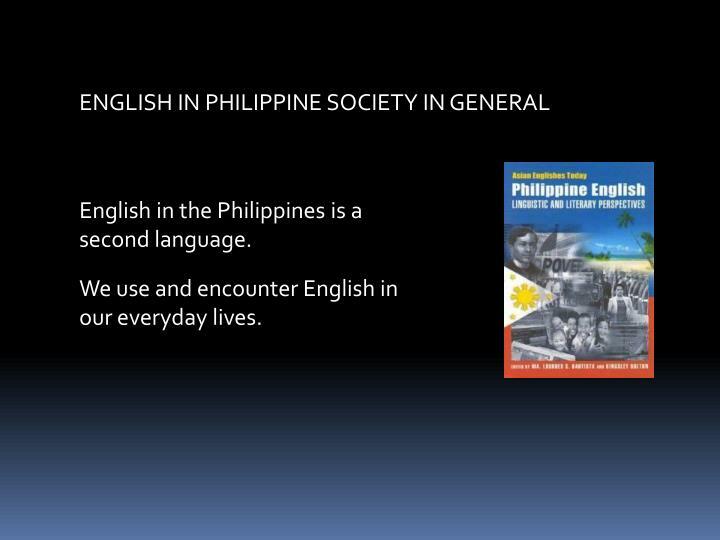 Philippine English: Linguistic and Literary Perspective. 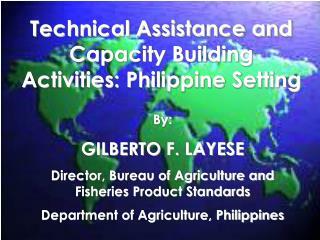 Philippines: Anvil Publishing, Inc.
Fuentes, Gloria G. and Mojica, Leonisa A. (1999). 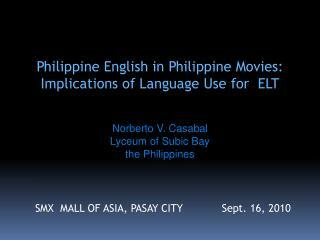 A Study of the Language Attitudes of Selected Filipino Bilingual Students towards Filipino and English. 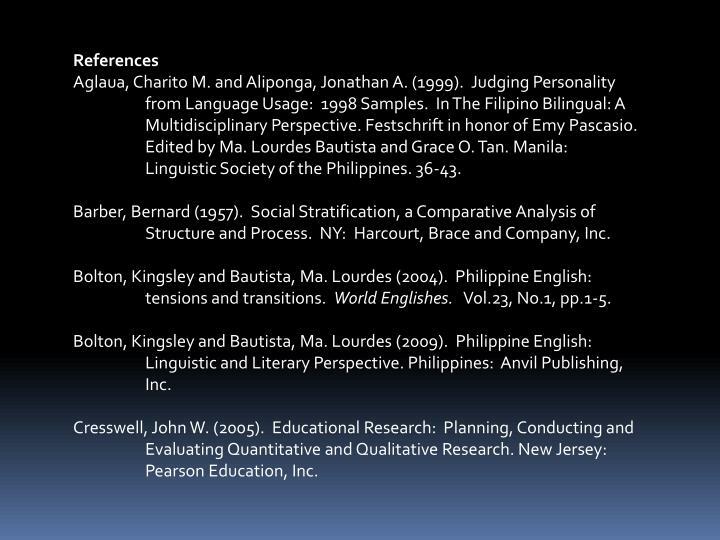 In The Filipino Bilingual: A Multidisciplinary Perspective. Festschrift in honor of EmyPascasio. Edited by Ma. Lourdes Bautista and Grace O. Tan. 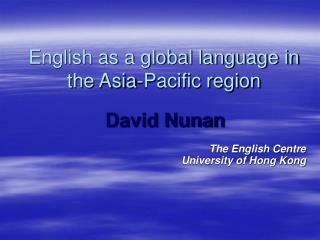 Manila: Linguistic Society of the Philippines. 50-55. Gonzales, Andrew (2004). 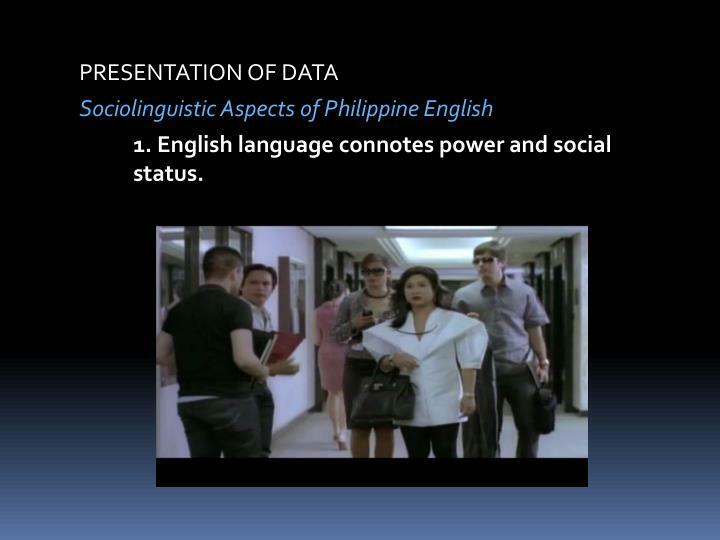 The social dimensions of Philippine English. 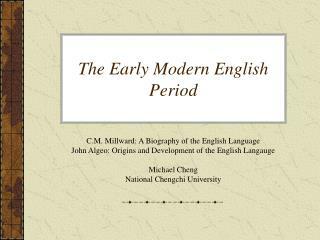 World Englishes, Vol.23, No.1, pp.7-16. Gonzales, Andrew (2009). A favorable climate and soil: A transplanted language and literature. Edited by Ma. Lourdes Bautista and Kingsley Bolton. 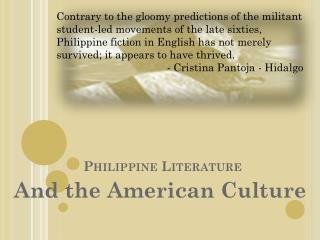 Philippine English: Linguistic and Literary Perspective. Philippines: Anvil Publishing, Inc.
Tupas, T. Ruanni F. (2004). 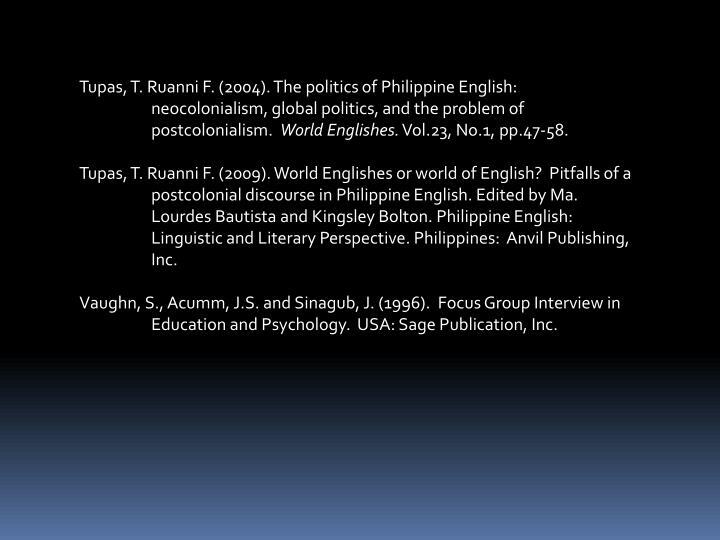 The politics of Philippine English: neocolonialism, global politics, and the problem of postcolonialism. World Englishes. Vol.23, No.1, pp.47-58. 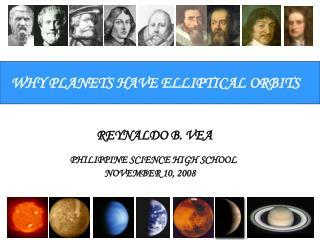 Tupas, T. Ruanni F. (2009). World Englishes or world of English? 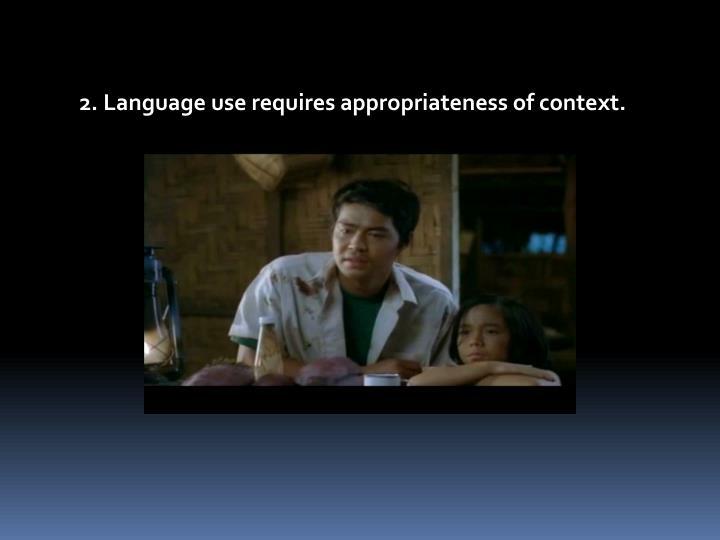 Pitfalls of a postcolonial discourse in Philippine English. Edited by Ma. Lourdes Bautista and Kingsley Bolton. 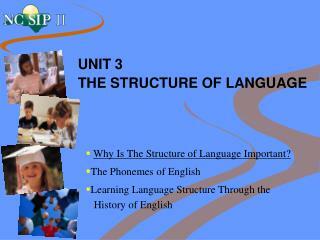 Philippine English: Linguistic and Literary Perspective. Philippines: Anvil Publishing, Inc.
Vaughn, S., Acumm, J.S. and Sinagub, J. (1996). Focus Group Interview in Education and Psychology. 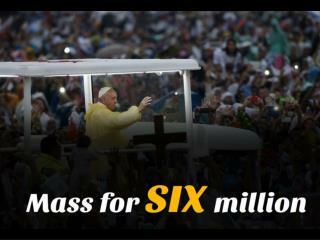 USA: Sage Publication, Inc.